With upside risks to inflation continuing to go ahead on account of uncertainty over the monsoons, the Reserve Bank is unlikely to cut rates in this fiscal. 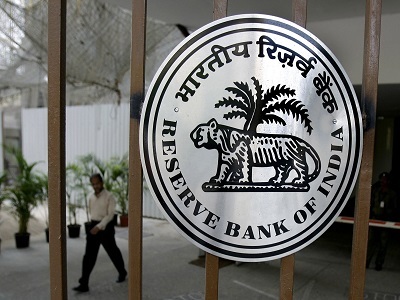 Mumbai: With upside risks to inflation continuing to go ahead on account of uncertainty over the monsoons, the Reserve Bank is unlikely to cut rates in this fiscal, say analysts. The RBI in its third bi-monthly monetary policy today said, "With some continuing uncertainty about the path of the monsoon, it would be premature to conclude that future food inflation, and its spill-over to broader inflation, can be discounted." The RBI, however, said although the upside risks to the target of ensuring CPI inflation at or below 8 per cent by January 2015 remain, the overall risks are more balanced than in June. "It is, therefore, appropriate to continue maintaining a vigilant monetary policy stance as in June, while leaving the policy rate unchanged," the central bank said. Domestic rating agency Crisil in a note said, "Recent data suggests that growth is picking up and inflation is stepping down. Nonetheless, the potential risks to inflation, once the base effect vanishes, remain high and thus, we stick to our call of no change in the policy rate through the remaining period of this fiscal." It said achieving 6 per cent CPI inflation target will be a tough challenge as disinflation will have to be sustained over the medium-term, especially when GDP growth and demand is picking up. Japanese brokerage firm Nomura while expecting the next policy move to be a rate cut and not a hike, says the RBI is likely to remain on a prolonged pause. It said that cutting rates too early may be tantamount to a policy flip-flop, a mistake the RBI should be wary of committing. "We are officially pencilling in repo rate cuts starting in 2016, with the central bank likely to maintain stability in policy rates until then to ensure continued disinflation, higher real rates and the re-balancing of the economy (generating higher domestic financial savings)," Nomura said. British brokerage Barclays, however, said it continues to expect a cumulative 50 basis points easing in policy rates by the end of 2014. "Inflation softened more than expected in recent months, and we feel that inflation is set to maintain its softening bias in the coming months, offering the central bank more room for manoeuvrability later this year," Barclays said. French brokerage BNP Paribas said, "Like RBI, we still regard inflation risks as skewed to the upside, with the crystallisation of those risks largely determined by the progress of this year's monsoon and the quality of fiscal tightening. If either disappoint, upside risks are likely to become real and rate hikes could come back onto the agenda in 2015." The RBI kept the repo rate unchanged at 8 per cent and accordingly reverse repo was left unchanged at 7 per cent. It reduced the statutory liquidity ratio (SLR) of scheduled commercial banks by 50 basis points from 22.5 to 22 per cent of their NDTL. India Ratings said the reduction in SLR is a step in the right direction in view of the government's renewed commitment to the medium-term fiscal consolidation. "The reduction in SLR will create more headroom for banks to extend credit to the productive sectors of the economy as and when it picks up," India Ratings said. However, Nomura said it sees the SLR cut as marginally negative for bonds, especially since it came as a surprise.